When you need to make angles cuts in 2 planes, you don’t just use a standard miter saw. 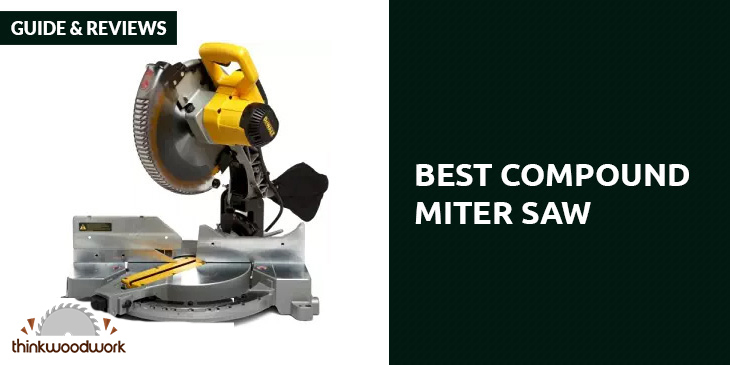 You need the best compound miter saw you can get. With it, you can make your compound cuts with just one pass. So it’s eminently useful when you’re working with crown molding and picture frames. Finding a use for your compound miter saw is really easy if you’re a carpenter or a do-it-yourselfer. Find the right compound miter saw is a mite more troublesome. But you can start your search more efficiently with the following superb compound miter saws. 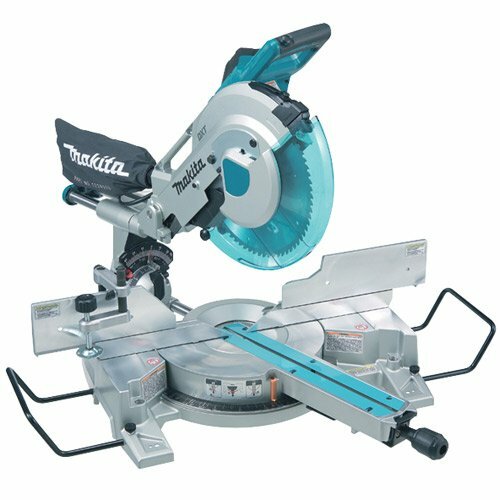 The Makita LS1016L is a revolutionary miter saw that has a lot of fans among professional (or even enthusiastic amateur) wood workers, finish carpenters, and general contractors in need if an excellent 10-inch compound miter saw. It has received a lot of favorable reviews online, and it’s not surprising given what you get when you buy it for your woodshop. First of all, it offers the largest (vertically nested) crown molding cutting capacity at 6 and ⅝ inches. It also provides baseboard vertical cutting capacity at 4.75 inches, with 12 inches at 90 degrees. All these are due to the direct drive gearbox and the special retractable guard system. And these cuts are accurate too. It’s because you can make these cuts solidly and smoothly due to the use of 6 linear ball bearings. You also get the 4-Steel rail sliding system that results in less deflection, and greater rigidity, leading to more precise cuts. This miter saw offers 4 sliding fences, with upper and lower fence adjustments that let you make more precise miter and bevel cuts. The saw miters 60 degrees to the right, and 52 degrees to the left. The stops for both left and right are for 45, 31.6, 22.5, 15, and 0 degrees. With the dual bevel lock in the rear handle, adjustments can be made easily up to 45 degrees for both left and right, with stops at 45, 33.9, and 22.5 degrees. You can make adjustments more precisely with the dual front bevel scales, while the easy miter lock system (you just push in and turn) improves your efficiency. There’s even a built-in laser to indicate the cutting line. 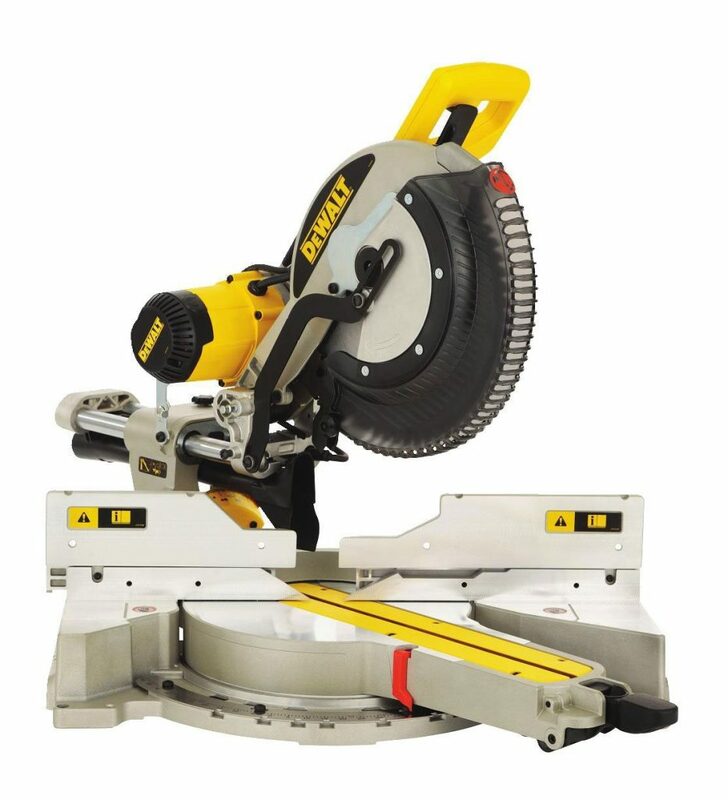 This miter saw is very compact and light, which makes it very portable. It’s easy to use as the trigger switch is large and the rubberized D-handle is soft and ergonomic. While you get just 3200 rpm, the motor is utterly reliable as it won’t bog down or require too much maintenance. It offers smoother startups, and it can maintain its speed under load. The warranty is for the usual 1 year. 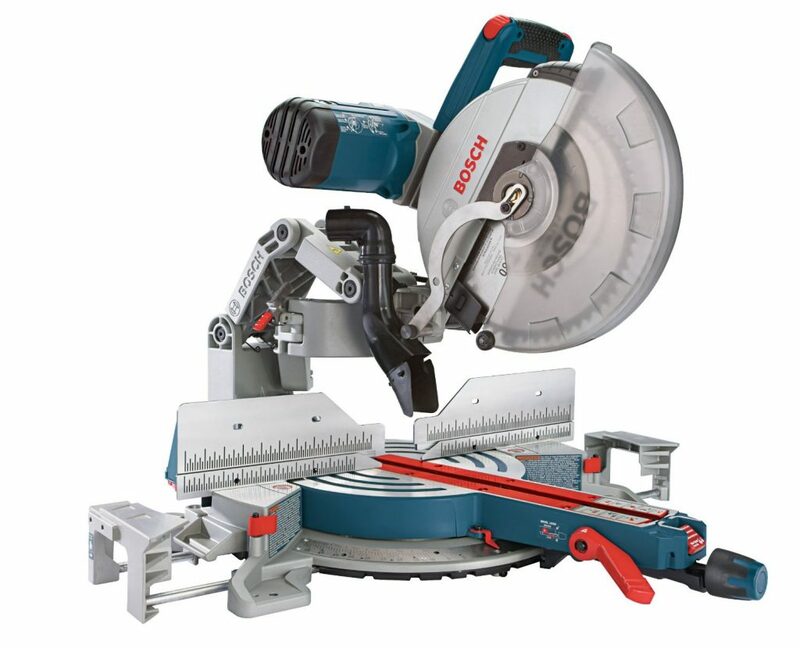 When you get this 12-inch dual-bevel glide miter saw, you also get a 60-tooth blade, a blade wrench, a material clamp, a dust bag, and a 90-degree dust chute elbow/vacuum adaptor. It’s a bit heavy at 65 pounds, so you need the right place for it. And it should be within 6 feet of the power cord too. But when it’s all set up, your work goes by more quickly. The 3800 rpm from the motor allows for rapid cuts. It’s also compatible with a wide range of 12-inch blades. And with the visibility offered by the clear lower guard, you can better see what you’re cutting. With the 2 sliding integrated base extensions, you have adjustable support for materials up to 40 inches long. The vertical capacity for material against the base or fence is 6.5 inches. It also has a 6.5-inch nested crown capacity against the fence at 45 degrees. The horizontal capacity is 14 inches. You can slide each fence on to its position for accurate alignment, with the use of the one-touch lock and unlock feature. The quick-release fences are aligned at 90 degrees to the table of the saw, so you don’t need to adjust it. You can make bevel adjustments easily, as the range selector bevel and the lock lever are up front. You can cut up to an angle of 47 degrees left and right, with marked roof pitch angles and detents to make it easy for you to set it to the angles you frequently use. The bevel detents are set at 45, 33.9, and 0 degrees for both right and left-facing cuts. It has 2 safety switches, and its dust collection system is outstanding. You’ll find it comfy to use the trigger handle, as it’s large, ergonomic, and designed for both the right and left-handed users. It comes with the standard 1-year warranty. If you’re looking for a great balance between sturdy durability and fine precision, then the 12-inch 780 is a great option. 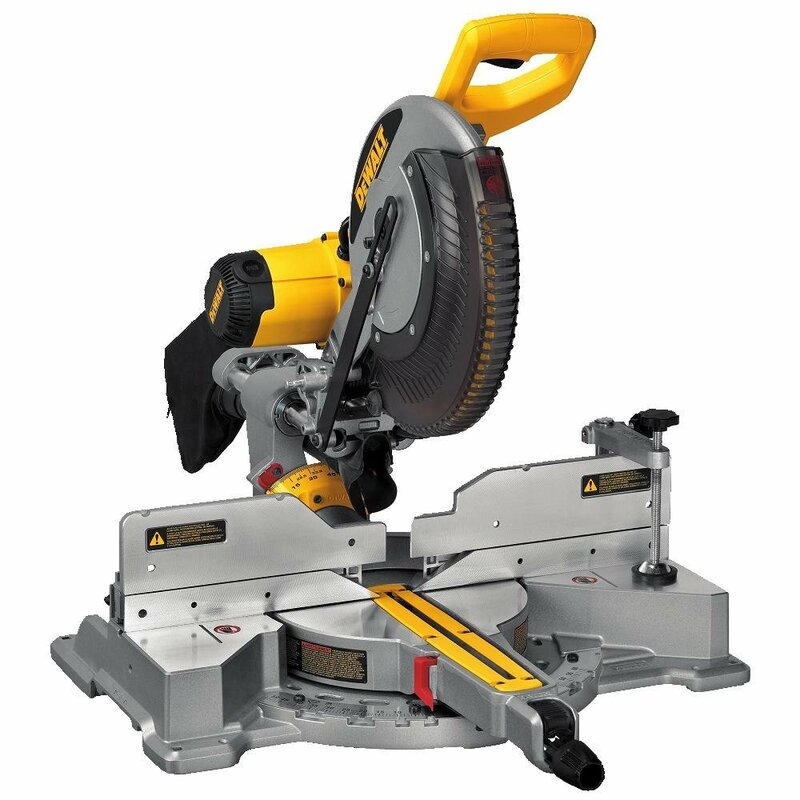 It offers high-capacity cutting with 3800 rpm 15-amp motor. The cut capacity combination is especially impressive, too. The horizontal capacity is 13.875 inches, the nested crown capacity is 7.5 inches, and the vertical capacity is 6.75 inches. The back fence design lets you cut a 2 by 12 at a 45-degree angle and a 2 by 16 at a 90-degree angle. You can get precise cuts with the superb alignment system, which doesn’t need any recalibration even over time or after you change blades. It also features a bright LED light that functions like a laser, as it shows you where the miter saw will come in contact with the wood. The dual bevel system features bevel up to 49 degrees in both left and right directions, with stops at 49, 45, 33.9, 22.5, and 0 degrees. It also miters 50 degrees to the left and 60 degrees to the right. It features 10 miter stops, and the cam lock miter button lets you lock the angles between detents. It’s somewhat portable at 56 pounds. The dust collection system actually works, as it captures more than 75% of the dust. It is also very rugged, with its guards and tough stainless steel for the miter detent plate. The limited warranty is for 3 years, with free service for a year and 90 days for the money-back guarantee. If the DWS780 is a bit beyond your budget, then you may want to go with the Dewalt DWS709 instead. It’s not as if you’re settling with a substandard alternative when it comes to a 12-inch compound miter saw. In many ways this is just as good for a lower price tag. It also comes with a 15-amp 3,800-rpm motor. Its fences can support base molding up to 4.5 inches vertically against the fence, and crown molding up to 5.5 inches nested. With the back fence design, you can cut a 2 by 14-inch piece of wood at 19 degrees and a 2 by 10 at 45 degrees. The saw miters 50 degrees to the left and 60 degrees to the right. You have 13 miter detents for the most common miter angles, which you can read and find easily because the miter pointer is big and red. It’s very sturdy and rugged, with its base made with heavy-duty aluminum. The stainless steel plates also have pads so the miter saw goes through virtually no wear and tear. Despite the solid construction, it’s actually not all that heavy. At 51 pounds and a compact design, it may even be portable. 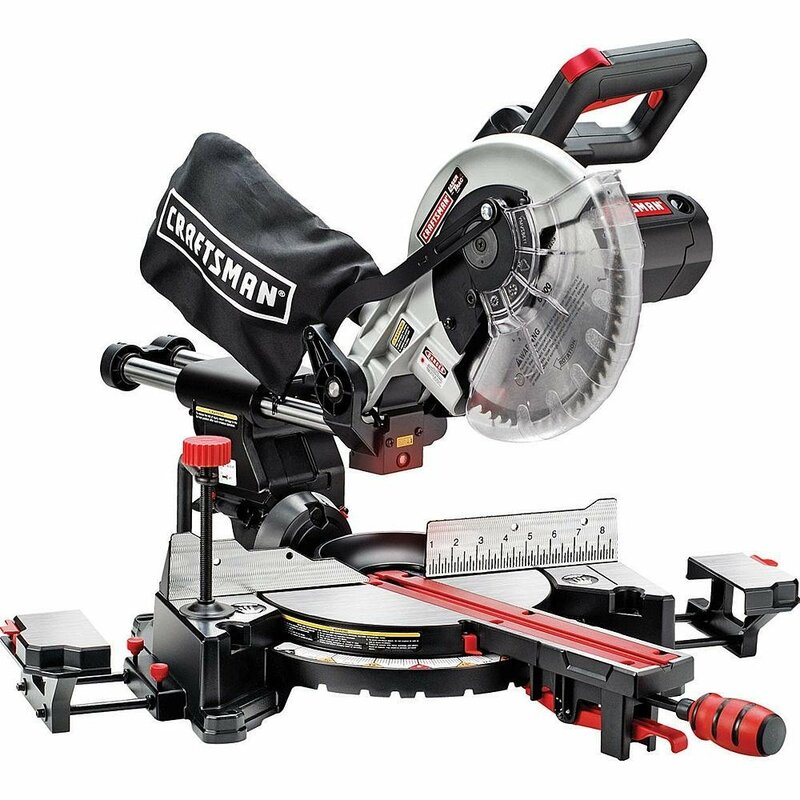 Now if you need just a 10-inch compound miter saw, the Craftman﻿ Compound Miter Saw is an option you have to consider. The 4800 rpm motor allows for cuts with sharp edges and tight corners. With this saw, you can even go through 12-inch wide boards. It’s not noisy either, so you don’t bother your neighbors when you get an itch to use late at night. And it even comes with a laser for an accurate cut line. The miter adjustment goes from 0 to 50 degrees, with preset detents at 45, 31.6, 22.5, 14 and 0 degrees. The sliding adjustment for the blade can really speed things up when you work, and pretty soon you’ll never want to work without one. Often you may find yourself cutting through wood with just an inch or so left, and you have to flip the wood over and do your measurements again to complete the cut. But the sliding adjustment just lets you pull it right through as it increases the length you can cut. You won’t have any trouble cutting through a 4-inch (vertical) piece of wood. At this price range, it’s a great option for hobbyists. Store it where everyone can see, and its impressive design will catch the attention of your other DYI-enthusiast friends. 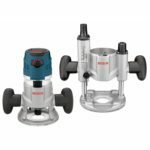 When it comes to compound miter saws, you have lots of options so you can get one that fits your needs, preferences, and budget. 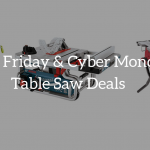 Whether you get a simple compound saw, a dual version that tilts both left and right, or a sliding version that lets you move the blade forward, you have options so you can get the best compound miter saw that will work efficiently and reliably. With the compound miter saw’s capabilities and features, working in woodshops or jobsites can be very productive, and very fun.